… they want the kind of access to a variety of services and products that big corporates have, at the prices that big corporates enjoy. But if you’re small, even if you are well capitalised, you probably don’t know who the best are, or have access to them. So where do you start? That’s where Mayfair Quarters comes in. 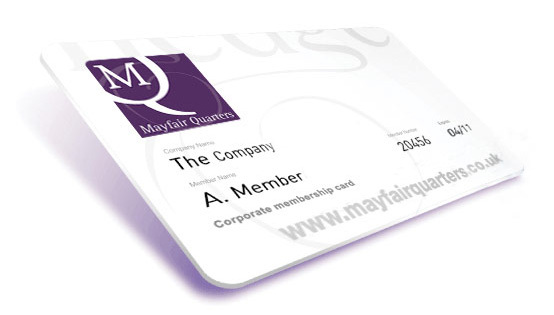 Founded in 2008 in London, MQ began as an informal network of office managers and COOs at top hedge funds. Many of these funds had been founded by veteran City investors who spent years at major investment banks or asset management firms. They expected a high level of quality and service at their new companies that they had taken for granted in their previous posts. And they needed all the basics covered. What kind of basics? Lawyers, accountants, HR advisers, payroll managers, pension providers, insurers. Not to mention offices, interior design and fit-out managers, IT consultants and equipment providers, landline and mobile telephone systems, printers, business supplies, maintenance providers. And don’t forget travel: airlines, hotels, cars and car services – often one of the costliest corners of a business, small or large. The MQ network identified preferred high-quality suppliers on all these fronts. What began as word of mouth turned into “the list” – a highly vetted group of tried and trusted suppliers available only to MQ clients. And the beauty of it was, because the MQ client network comprised so many premium firms, small as they often were, suppliers would offer access and discounts usually only afforded to large corporations. MQ can do the same for you and you don’t even have to be a hedge fund – or based in Mayfair. Want to know more?